I am a terrible blogger. I always have the intention of posting weekly but my growing to-do lists usually leaves no time for blogging. I used to be better at posting when I had a 9-5 job if you can believe that! Now, my work hours are all over the place and I don’t want to use the “I’m too busy” excuse because it is lame. You’re probably thinking, well who isn’t? Apparently all of us could benefit from not using the “b” card. Chris recently sent me an article about how people are not as busy as they say they are which at first kind of made me mad because I’d like to think that I am actually busy. But after reading it, I realized I need to be better at not “contaminating” my time by trying to cross off every little to-do item while say having breakfast, or watching a movie. I am not that busy! And like the author mentioned, when you are calmly going about your day and being mindful about what you are doing, it doesn’t feel that overwhelming! So in my oodles of leisure time, what I like to do is bake. Lets get to the main star of this post. No, that’s not the real name of these things but they might as well be! 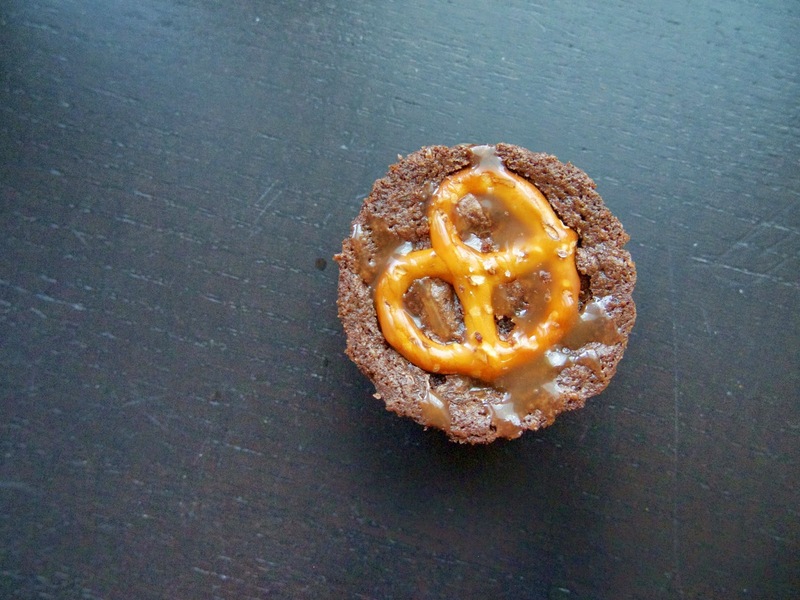 I whipped up a batch of these delicious mini caramel brownies with pretzels and sea salt right for last week’s premiere of Game of Thrones. *Spray mini muffin cups with non stick baking spray. *In a bowl, mix together melted butter, sugar, and salt. Once combined, mix in your vanilla and egg. Lastly, fold in the cocoa powder and flour. *Fill greased muffin tins 3/4 of the way. Gently press a mini pretzel on top of each muffin. *Bake for about 15 minutes or until a toothpick inserted in the center comes out clean. *Let brownie bites cool before taking out of the muffin tin. *This is really important, be patient! 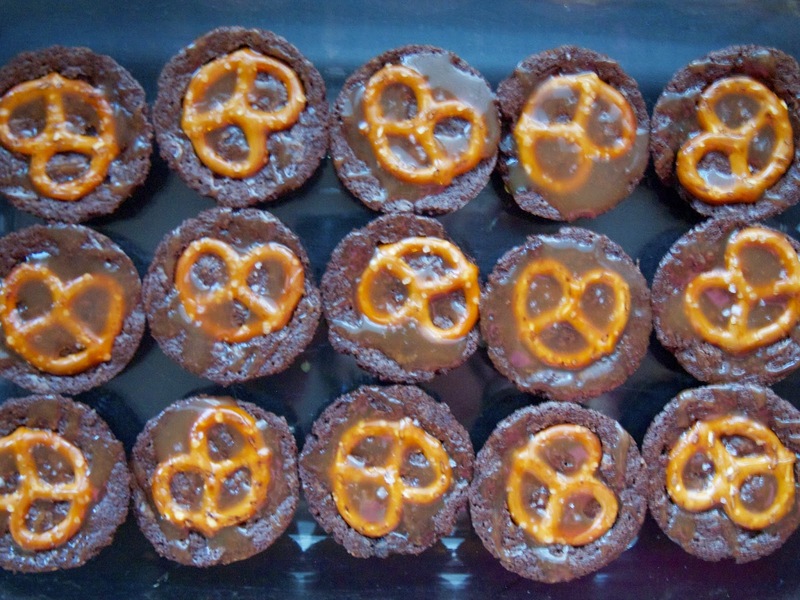 *Drizzle caramel sauce over each mini brownie and sprinkle the tops with sea salt. …aka the easiest thing to make ever! I couldn’t believe how easy this dish was to put together and how delicious it was. The curry powder, garam masala and coconut milk packs in a lot of flavor. I almost feel like I shouldn’t even post it because it’s so easy. But I like easy and I think others do too 🙂 Plus the last couple of weeks have been b-a-n-a-n-a-s for me so recipes like this are much needed. Sadly I did not have time to take a prettier picture of this but after 7 hours of cooking on low, the chicken was super tender and shredded very easily. Hope you all will try this out! *In the bottom of a slow cooker, whisk together coconut milk, chicken stock, tomato sauce, curry powder, garam masala, cayenne, and salt. 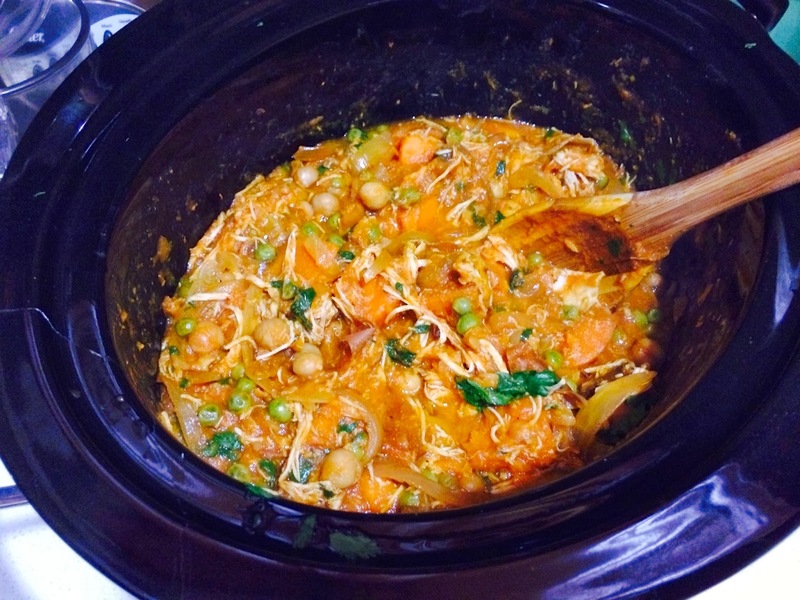 *Add chicken breasts, onion, chickpeas, and sweet potatoes. Give it a good stir to ensure everything is coated evenly. *Cook on low for 7 hours. *Stir in peas and lemon juice just before serving. Serve over rice or naan and top with cilantro. Happy Fathers Day! I really wish I could be at home hanging out with my Dad today. I think he would really enjoy this dessert. He (almost) always likes everything I make. There was this incident with fried chicken one time in which case my Dad politely asked me never to make it again (that was ages ago and I’ve come along way). 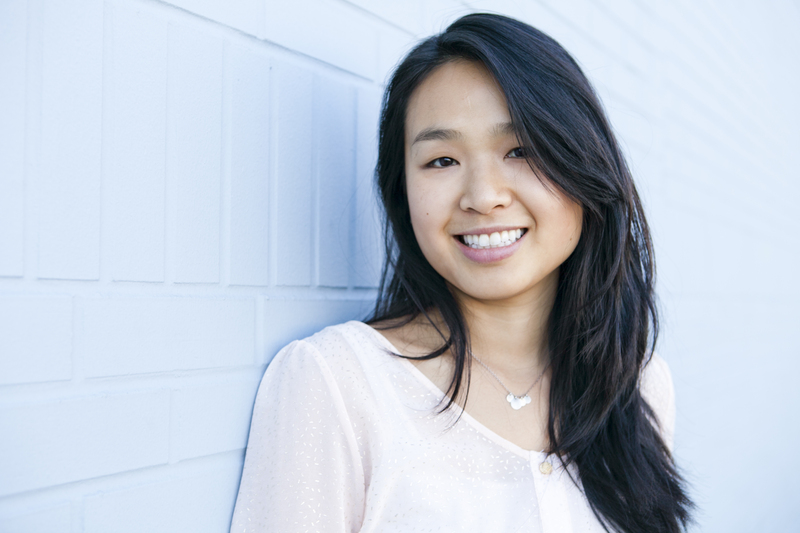 Short story – fried chicken is hard to make and I was 23, end of story. I love stone fruits. I love that the season is finally here for them. It’s awesome seeing peaches, cherries and nectarines at the farmers market. They’re all good just on their own but they make for wonderful (low-calorie?) desserts. 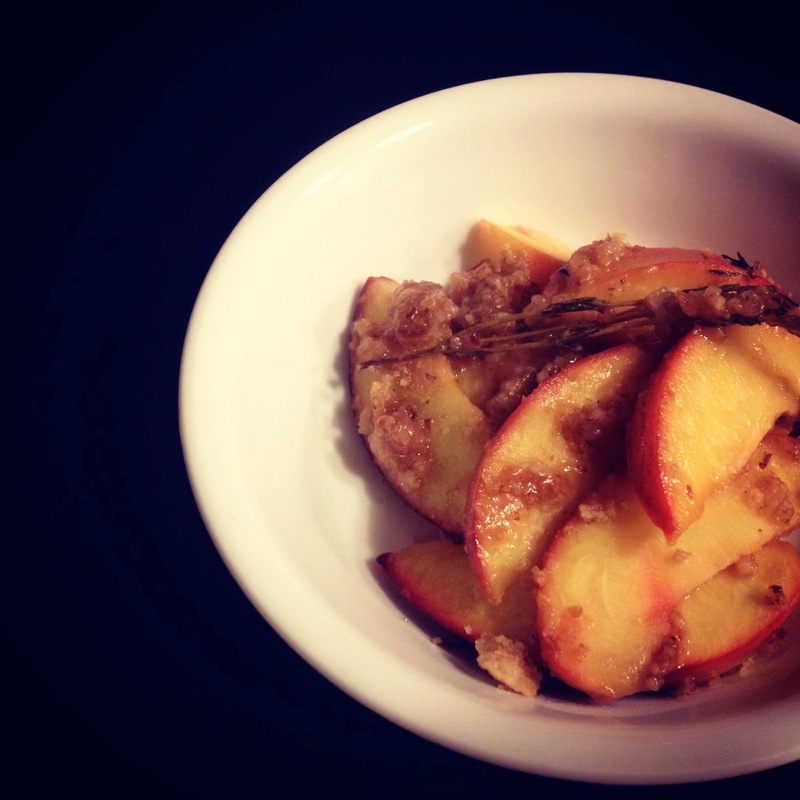 This nectarine-thyme crumble is so easy to make and perfect for summer dinner parties or cook-outs. Its great because you don’t need to crack any eggs, measure exact amounts, or pull out any mixing bowls! You can really whip this up at the last-minute and it could work with any fruit. 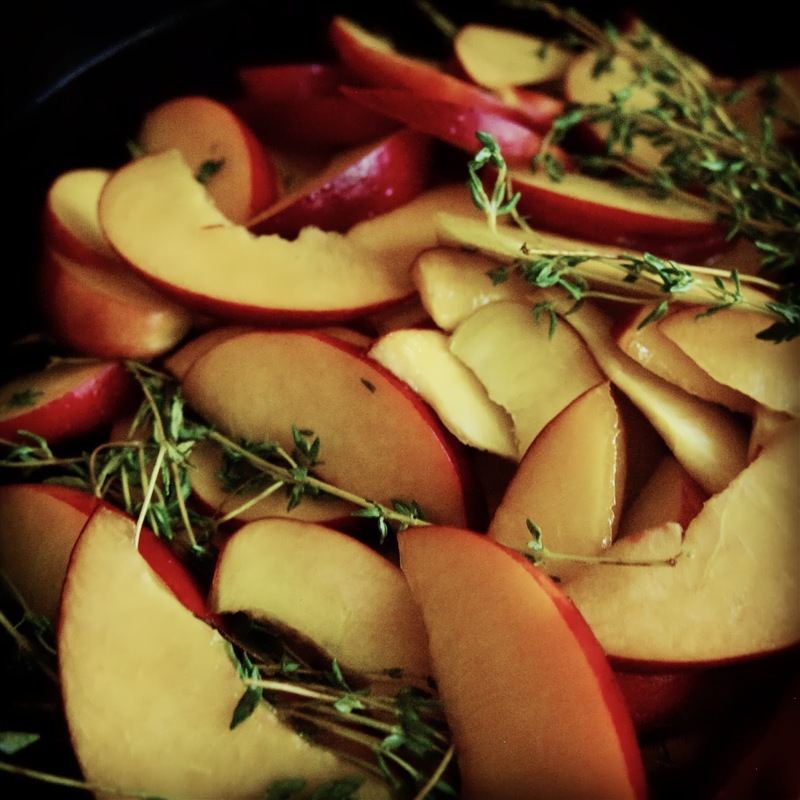 Nectarines are sprinkled with sugar, thyme, lemon juice, and salt before being baked in a cast iron pan. *In a shallow bowl, toss nectarines with the sugar, lemon juice, thyme, and a pinch of salt; let stand for one hour. *Preheat the oven to 375 degrees F. In a 8×8 baking pan, combine the flour, brown sugar, wheat germ, ground flax and a pinch of salt. Work in the butter with your fingers until the mixture is sandy. *Place the nectarine mixture (including juices) into a cast iron pan. Bake for 20 minutes until softened. *Halfway through, place the streusel mixture in for 10 minutes, until browned. 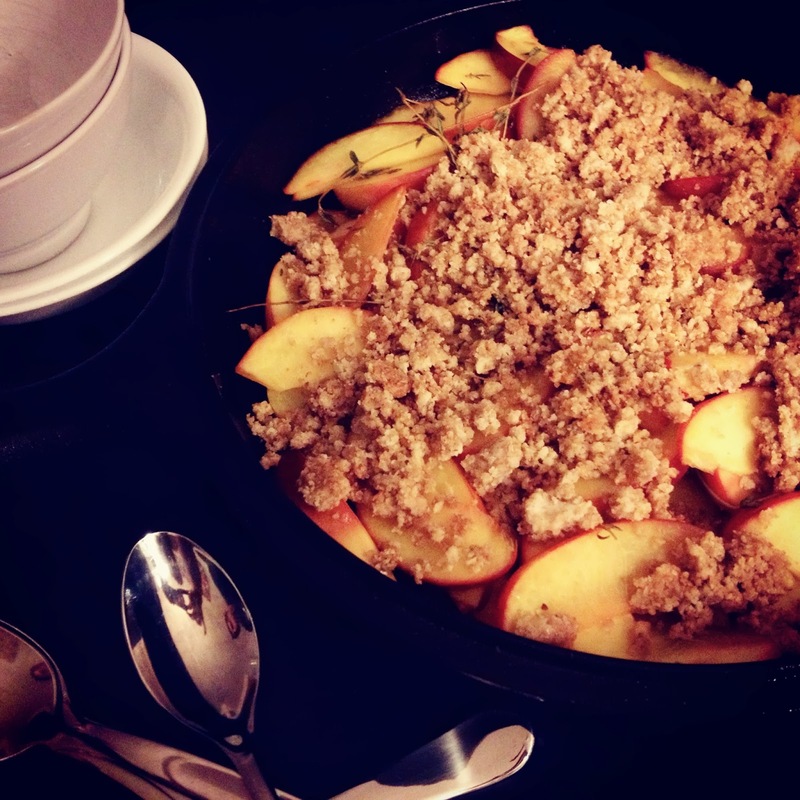 *Sprinkle the streusel over the fruit and bake for 5 minutes longer. This week Chris and I are off on a mini road-trip down the coast with stops in Palo Alto, SLO, West Hollywood, San Clemente, San Diego, and Palm Springs. The furthest distance we’ve driven so far was to Anaheim last fall to visit Disneyland. On that trip we stopped in Monterey, Santa Barbara, Santa Monica, and Huntington Beach. I’m excited we’re visiting new cities this time! Today we walked by a BBQ place in SLO that reminded me of the delicious pulled pork Chris and I made just before we left. 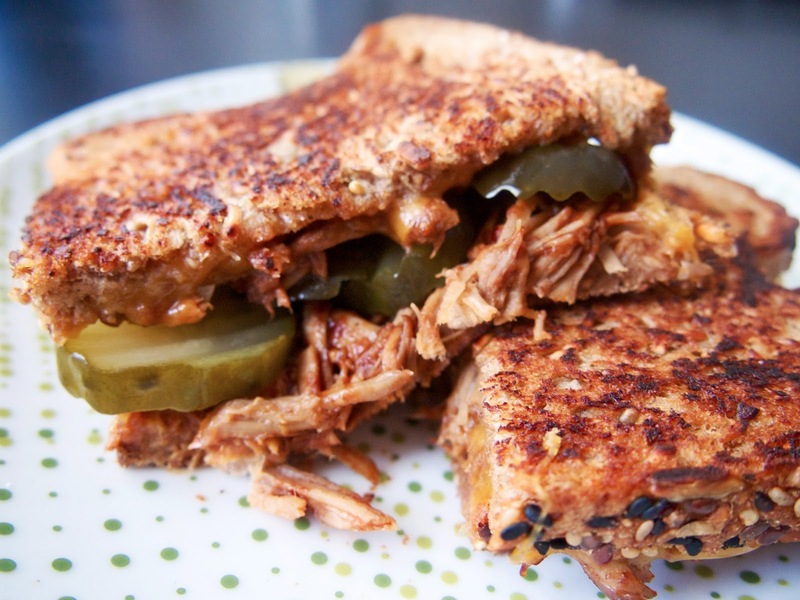 I love pulled pork sandwiches though have never bothered to make them. I am kicking myself for not trying earlier! Pulled pork is so easy to make. Especially when you’re making it in your slow cooker. 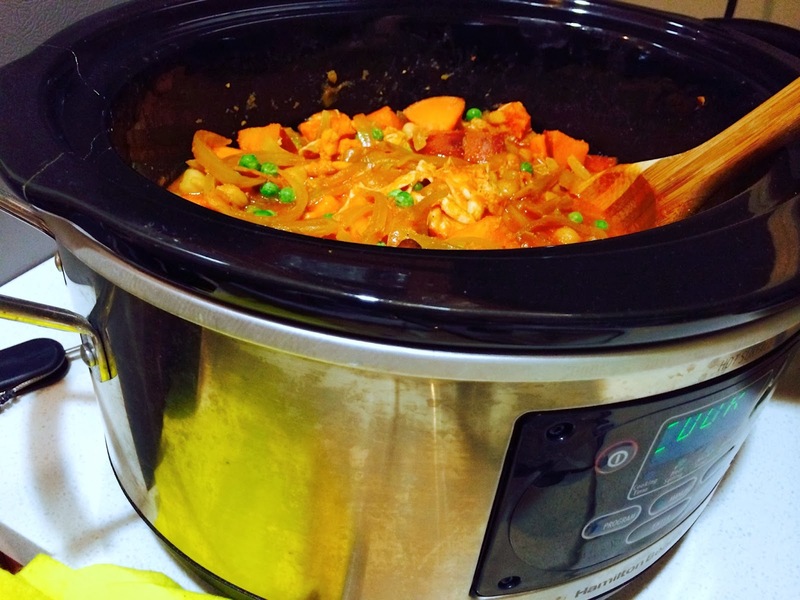 The slow cooker is a miracle worker. We hardly lifted a finger and out came tender and juicy pork. There’s minimal prep work involved for this recipe. Just throw all your ingredients in the slow cooker and “set it and forget it.” Eight hours later – the pork is done! The first night we bought ACME burger buns and made a spicy slaw out of carrots and jicama to go with the pulled pork. 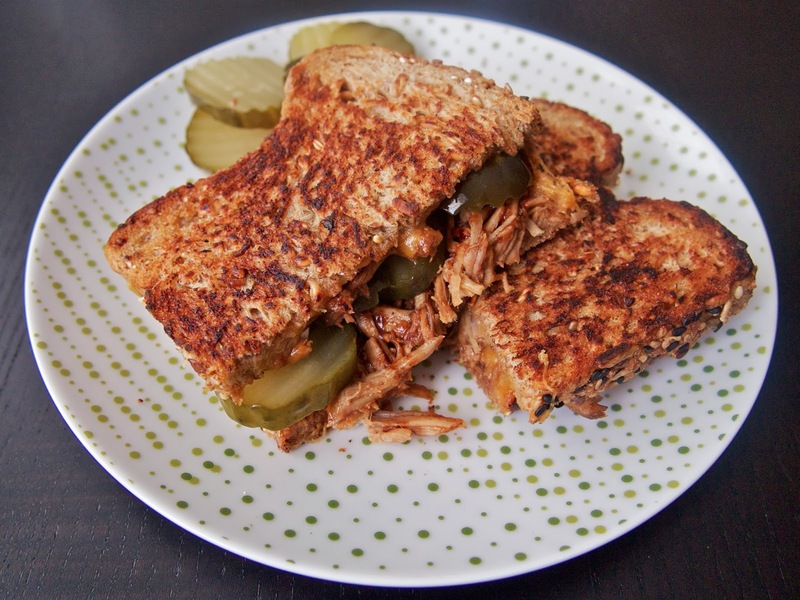 The next day, I used the leftover pork in my grilled cheese sandwich and it was one of the best grilled cheese sandwiches ever. The tangy sauce complemented the sharp cheddar cheese really well. 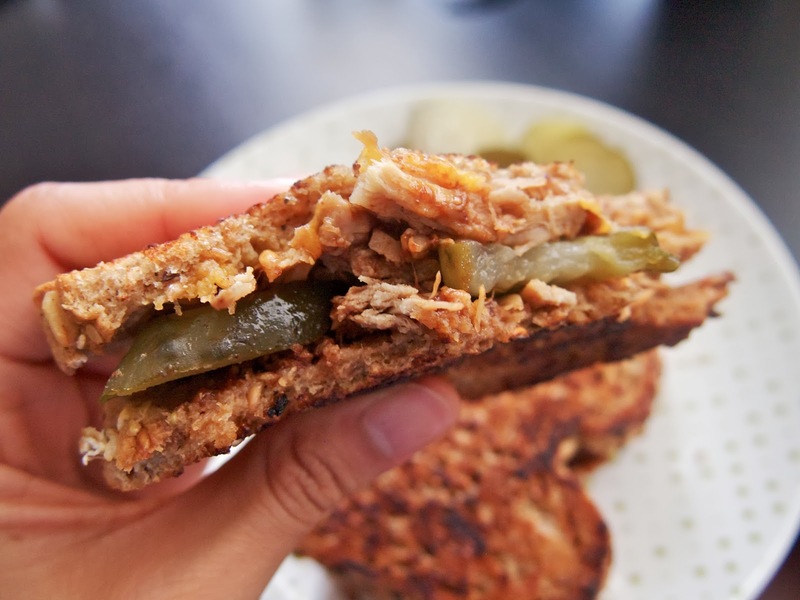 And the addition of bread and butter pickles gave the sandwich a nice crunch against the crispy buttered toast. You must try it – it’s what pulled pork sandwich dreams are made of! *Put pork in a slow cooker. In a large bowl, combine all marinade ingredients. Pour over the pork, rubbing it in. Cover and cook on low for 7-8 hours. *Meanwhile, make sauce by simmering all of sauce ingredients in a small pot over medium-high heat. Once smooth, remove from heat and cool until ready. *When done, shred the meat with a fork. Add sauce and mix until well combined. *Serve with warm buns, and your favorite fixings. You know when you see on TV someone getting a drink splashed in their face and you think, “that looks unpleasant.” Well, it is. Technically I did not get a drink thrown in my face, but a pot of ice cold water did “explode” in my face this past weekend. It was indeed a hilarious moment as I stood in my kitchen soaking from head to toe. This was just part of the string of bad luck I’ve had lately while baking. 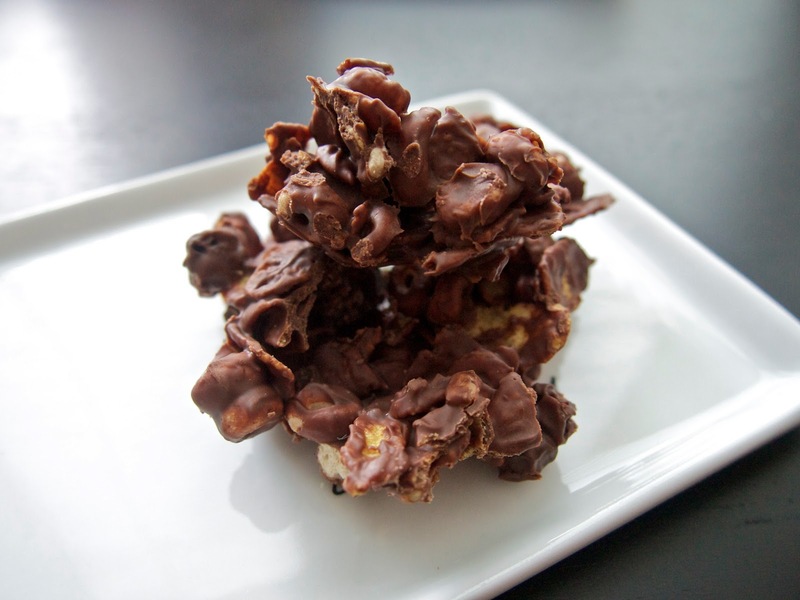 Good thing these chocolate-covered cereal do not require any baking! I first saw these while Chris and I were on vacation in Spain this past winter. Milka is the brand behind “Crispy Snax” which is essentially cornflakes, raisins, and chocolate. It is so easy to make! So why did a pot of ice cold water explode in my face? Well, I guess I never really understood the properties of steam and pressure. I created my own double boiler with two small pots and about half way into the process, I heard a loud thump. I didn’t realize until after I went to pick up the top pot, that the two were stuck together! I inadvertently created a vacuum seal with the two pots. (Thankfully it did not ruin what I was melting in the top pot!) After troubleshooting online (I am not alone!) Chris resolved to fix the situation by filling the top pot with water and ice and placing the stuck pots into the freezer to chill. Then he put the pots back on the burner on low heat, and slowly increased it to high. Then he sat back down at his computer. I went to see if I could pry the top pot off, not realizing there was a darn good reason Chris walked away. Five seconds later – THUMP – SPLASH! The top pot POPPED off the bottom pot and I got drenched. And burned. Did I mention the bottom pot had boiling water in it? My right hand was holding the handle of the top pot and it got a bit scorched. Now that I’m dry and added a proper double boiler to my amazon wish list, let’s talk about the quickest, and easiest dessert in the world. Inspired by the Milka chocolates, I decided to recreate it at home. Jacques Torres also makes something similar but instead of cornflakes, he has milk chocolate-covered cheerios. 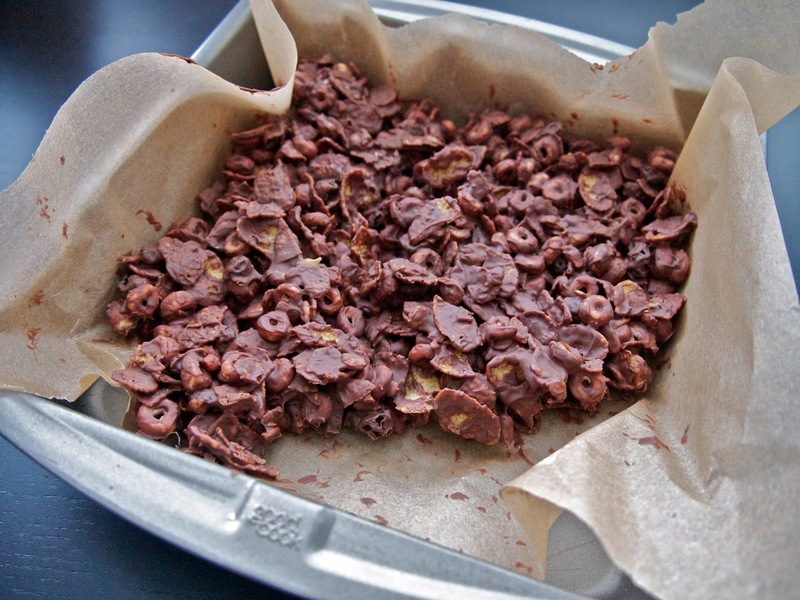 This creation is an ode to both with a mixture of cornflakes, cheerios, and raisins. There is no formal recipe since I pretty much eyeballed everything and threw things together based on my ‘feelings’ as my friend Jessica likes to say. I took about a cupful of each cereal with a handful of raisins and combined them into a large bowl. Next, I melted some bittersweet and semisweet chocolate in 10 second intervals in the microwave. Then I swirled the melted chocolate onto the cereal mixture until well mixed. Next I lined an 8’x8′ pan with parchment paper and dumped the cereal into the pan. I pressed it evenly down with my fingers and stuck the pan in the freezer for 10 minutes for it to harden. And voila! You can break off pieces to eat as you like. OK, back to the kitchen. Two more days until my first cake tasting 🙂 Pictures to come.